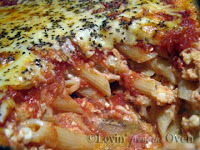 This Baked Ziti is perfect. Flavorful, not soggy or runny. This tastes like a lasagna, but is much easier to put together. 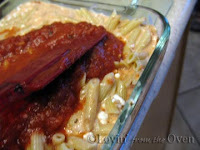 Once a week, I like to prepare a meatless dish and this fits the bill. 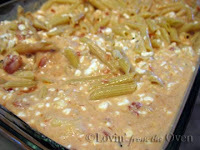 This recipe also combines two of my favorite sauces: Alfredo and marinara. 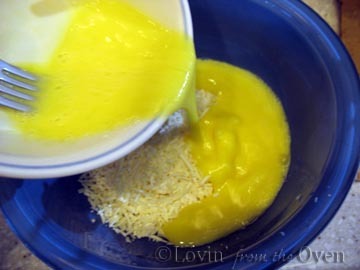 Start by whisking cottage cheese, eggs, and Parmesan together. Bring water to a boil over high heat and add salt. To season the pasta. Otherwise it would be bland. I would add 1/4 c. fresh chopped onion at this point and cook until soft. 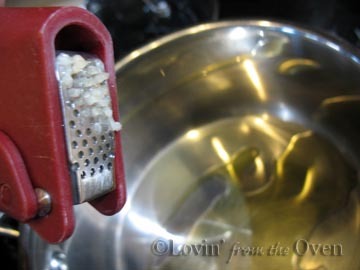 Press some fresh garlic and cook until fragrant, but not brown. Stir in tomato sauce, diced tomatoes, oregano and basil. If you are using fresh basil, add it to the end of the simmering time. 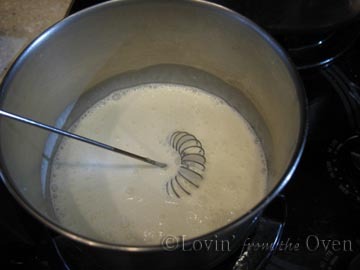 Stir cornstarch into some heavy cream. Don't have heavy cream? 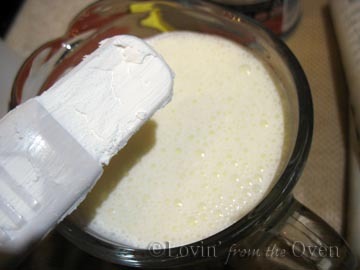 You can use whole milk and increase the amount of cornstarch. The cream is thickened over medium heat. 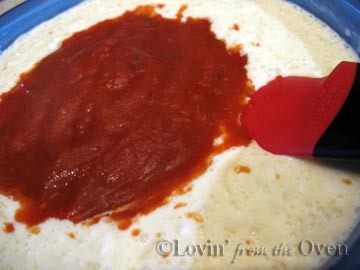 Add the cottage cheese/egg mixture, 1 cup of the tomato sauce, some mozzarella to the cream and stir. Add your cooked pasta to this mix. It's looking awfully runny, but trust me, it thickens up in the oven! 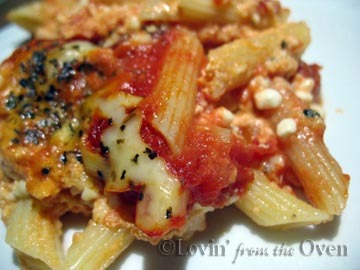 Spread some reserved tomato sauce on top and sprinkle with some mozzarella cheese. 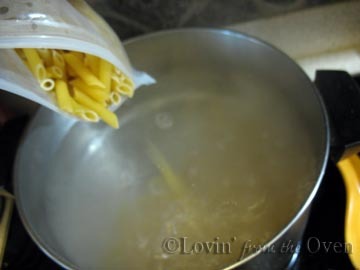 This covers every single noodle, preventing them from being baked to a crisp! Tip: Before covering your ziti with aluminum foil, lightly spray the underside of the foil. This will keep the cheese from sticking! Bake for 30 minutes, the foil is removed, and is baked for an additional 30 minutes. 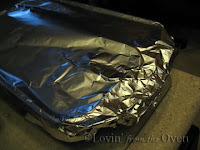 Remove from the oven and allowed to cool for 20 minutes. No one wants to burn their mouth on hot cheese! Cheese is brown and golden, and there is not a puddle of sauce in the bottom of the pan! The family loved it. The only change I would make is to add some onions for some extra flavor. If you like it spicy, add some red pepper flakes. Frieda, it's 7:52 a.m., and I want this for breakfast! Looks amazing! I'm excited to try it out! All my favorite things in one dish. This is FATTENING at all, is it? Please say no. 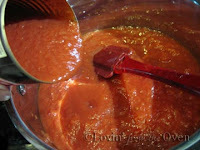 Bonnie, you can reduce the fat content in here, but sometimes I'd rather eat the 'real' thing and eat it in moderation...savor every bite! I love lasagna but hate all the work. This baked ziti looks like it would be the perfect solution. YUM!